Seen on the drive-up window of a Starbucks in Houston, TX. 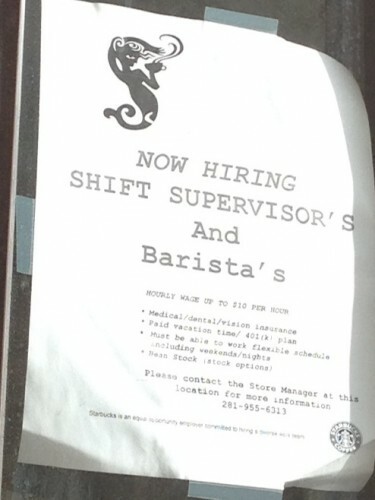 Tagged with apostrophe, houston, starbucks, tx. I wonder why it’s necessary to insert a space after the apostrophe. Is this a new rule that hasn’t been published?